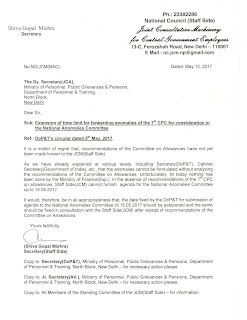 As we have already explained at various levels, including Secretary(DoP&T), Cabinet Secretary(Government of India), etc., that the anomalies cannot be formulated without analyzing the recommendations of the Committee on Allowances. Unfortunately, till today nothing has been done by the Ministry of Finance(Exp.). 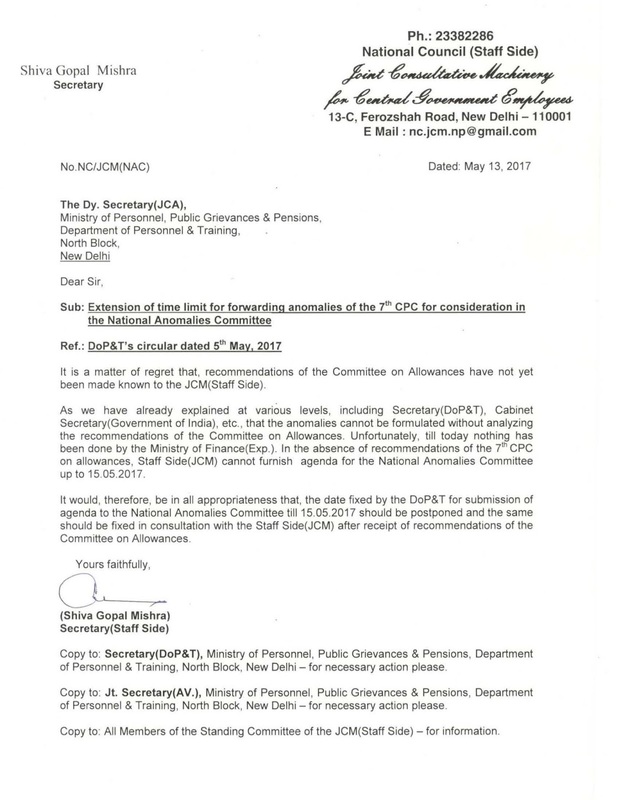 In the absence of recommendations of the 7th CPC on allowances, Staff Side(JCM) cannot furnish agenda for the National Anomalies Committee up to 15.05.2017.
the date fixed by the DoP&T for submission of agenda to the National Anomalies Committee till 15.05.2017 should be postponed and the same should be fixed in consultation with the Staff Side(JCM) after receipt of recommendations of the Committee on Allowances.